AutoSteady: a 3-axis smartphone stabilization system compatible with iOS and Android devices. It has an ergonomic handle and brushless motors with encoder technology and a gimbal controller to keep your shots smooth. KumbaCam 3: a 3-axis smartphone stabilizer with 3 modes that works with iPhones and GoPro cameras. Its motorized gimbal keeps your phone level and isolates it from hand shake. Lanparte HHG01: this handheld tool relies on 3-axis active stabilization and gesture control system to smooth out your videos. It is made of ABS and aluminum alloy. 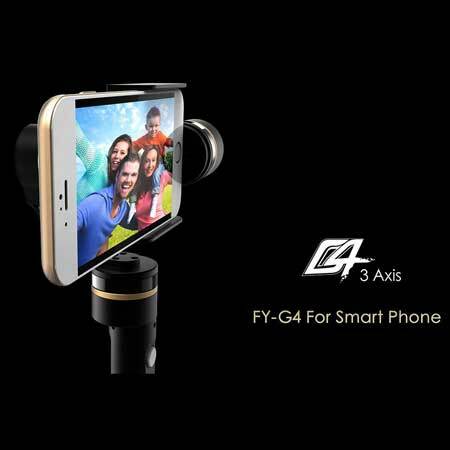 Feiyu GM-G4: another 3-axis handheld gimbal for smartphones and iPhones. It offers 5 operation modes w/ 320-degree pan/tilt functionality. ARRIS Z1 Smooth: this handheld device works for larger smartphones. It is portable and offers 3 modes. It uses advanced sensors and customized brushless motor to help you record smooth video. Have you found better smartphone video stabilization solutions? Please share them here.